At first I didn't think I would do much more than write a single book, but as time has gone on, I realized it might be a good idea to document where I've been published. I will try to keep this page up-to-date with books or magazine articles I've written or otherwise contributed to, as well as any interviews or other related activities. 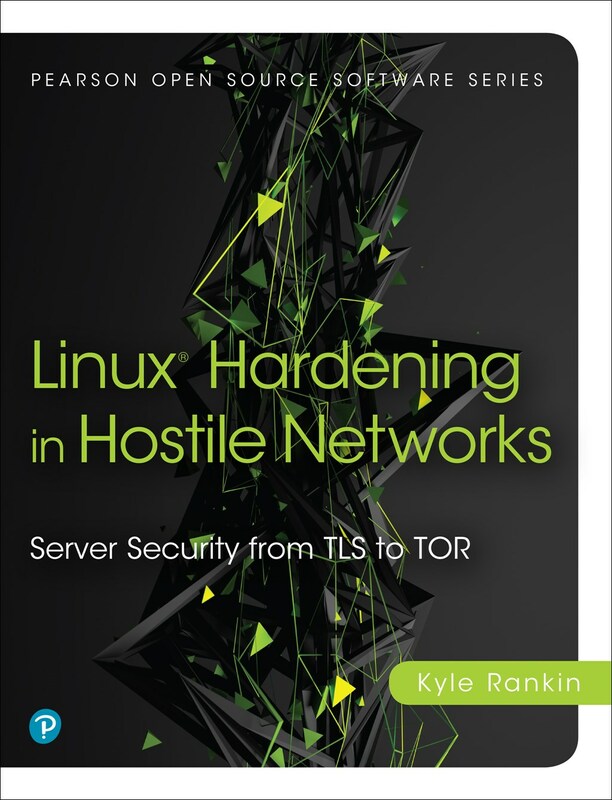 Linux Hardening in Hostile Networks: Server Security from TLS to TOR - author - Published July 2017. 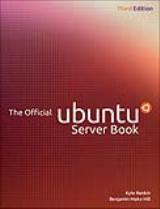 The Official Ubuntu Server Book, 3rd Edition - coauthor - Published July 2013. DevOps Troubleshooting: Linux Server Best Practices - author - Published November 2012. Official Ubuntu Book, 6th Edition - technical reviewer - Published June 2011. Official Ubuntu Server Book, 2nd Edition - coauthor - Published August 2010. Official Ubuntu Book, 5th Edition - technical reviewer - Published June 2010. Official Ubuntu Server Book - coauthor - Published August 2009. Official Ubuntu Book, 3rd Edition - technical reviewer - Published June 2008. Knoppix Hacks, 2nd Edition - author - Published November 2007. Big Book of Windows Hacks - contributing writer: Hack #33 "Instant Linux" - Published October 2007. Ubuntu Hacks - coauthor - Published June 2006. Running Linux, 5th Edition - contributing writer: Chapter #7 "Games" - Published December 2005. Linux Multimedia Hacks - author - Published November 2005. Knoppix Pocket Reference - author - Published June 2005. Linux Desktop Hacks - technical reviewer, contributing writer: Hack #2 "Kill and Resurrect the Master Boot Record" - Published March 2005. Windows XP Hacks, 2nd Edition - contributing writer: Hack #20 "Instant Linux" - Published February 2005. Knoppix Hacks - author - Published October 2004. LinuxJournal.com: "Qubes Desktop Tips" - Published on February 26, 2018. LinuxJournal.com: "Shorter Commands" - Published on February 21, 2018. LinuxJournal.com: "Learning IT Fundamentals" - Published on February 17, 2018. LinuxJournal.com: "The Refactor Factor" - Published on January 31, 2018. LinuxJournal.com: "Raspberry Pi Alternatives" - Published on January 22, 2018. LinuxJournal.com: "So Long, and Thanks for All The Bash" - Published on December 1, 2017. Linux Journal: Hack and / Column -- "Lightning Hacks: Qubes Tips" - Published in November 2017 issue. Linux Journal: Hack and / Column -- "Oncall Travel Laptops" - Published in October 2017 issue. Linux Journal: Hack and / Column -- "Banana Backups" - Published in September 2017 issue. Linux Journal: Hack and / Column -- "Preparing for Vacation" - Published in August 2017 issue. Linode: "5 Essential Steps to Hardening Your MySQL Database" - Published on August 23, 2017. Linode: "Going Static--A Novel Approach to Securing Your WordPress Website" - Published on July 18, 2017. Linux Journal: Hack and / Column -- "Sysadmin 101: Patch Management" - Published in July 2017 issue. Linux Journal: Hack and / Column -- "Update Tickets from the Command Line" - Published in June 2017 issue. Linux Journal: Hack and / Column -- "Sysadmin 101: Leveling Up" - Published in May 2017 issue. Linux Journal: Hack and / Column -- "Sysadmin 101: Ticketing" - Published in April 2017 issue. Linux Journal: Hack and / Column -- "Sysadmin 101: Automation" - Published in March 2017 issue. Linux Journal: Hack and / Column -- "Sysadmin 101: Alerting" - Published in February 2017 issue. Linux Journal: Hack and / Column -- "Orchestration with Mcollective Part 2" - Published in January 2017 issue. Linux Journal: Hack and / Column -- "Orchestration with Mcollective" - Published in December 2016 issue. Linux Journal: Hack and / Column -- "Simple Server Hardening Part 2" - Published in November 2016 issue. Linux Journal: Hack and / Column -- "Simple Server Hardening" - Published in October 2016 issue. Linux Journal: Hack and / Column -- "Papa's Got a Brand New NAS" - Published in September 2016 issue. Linux Journal: Hack and / Column -- "Secure Desktops with Qubes: Extra Protection" - Published in August 2016 issue. Linux Journal: Hack and / Column -- "Secure Desktops with Qubes: Compartmentalization" - Published in June 2016 issue. Linux Journal: Hack and / Column -- "Secure Desktops with Qubes: Installation" - Published in May 2016 issue. Linux Journal: Hack and / Column -- "Secure Desktops with Qubes: Introduction" - Published in April 2016 issue. Linux Journal: Hack and / Column -- "Grub Boot from ISO" - Published in March 2016 issue. Final Inc. Blog: "Why Final Passwords Are At Least 12 Characters" - Published on March 8, 2016. Linux Journal: Hack and / Column -- "Preseeding Full Disk Encryption" - Published in January 2016 issue. Linux Journal: Hack and / Column -- "Two Factors are Better than One" - Published in December 2015 issue. Linux Journal: Hack and / Column -- "Flash ROMs with a Raspberry Pi" - Published in November 2015 issue. Linux Journal: Hack and / Column -- "AWS EC2 VPC CLI" - Published in October 2015 issue. Linux Journal: Hack and / Column -- "What's new in 3D Printing Part 4: Octoprint" - Published in September 2015 issue. Linux Journal: Hack and / Column -- "What's new in 3D Printing Part 3: The Software" - Published in August 2015 issue. Linux Journal: Hack and / Column -- "What's new in 3D Printing Part 2: The Hardware" - Published in July 2015 issue. Linux Journal: Hack and / Column -- "What's new in 3D Printing Part 1: Introduction" - Published in June 2015 issue. Linux Journal.com: "Purism Librem 13 Review" - Published July 10, 2015. Linux Journal: Hack and / Column -- "Libreboot on an X60 Part 3: Modify Boot Menu" - Published in May 2015 issue. Linux Journal: Hack and / Column -- "Libreboot on an X60 Part 2: The Installation" - Published in April 2015 issue. Linux Journal: Hack and / Column -- "Libreboot on an X60 Part 1: The Setup" - Published in March 2015 issue. Linux Journal: Hack and / Column -- "Secure Server Deployments in Hostile Territory Part 2" - Published in February 2015 issue. Linux Journal: Hack and / Column -- "Secure Server Deployments in Hostile Territory" - Published in January 2015 issue. Linux Journal: Hack and / Column -- "Dr Hjkl on the Command Line" - Published in December 2014 issue. Linux Journal.com: "Purism Librem 15 Review" - Published December 31, 2014. Linux Journal: Hack and / Column -- "Localhost DNS Cache" - Published in November 2014 issue. Linux Journal.com: "Weapons of MaaS Deployment" - Published October 30, 2014. Linux Journal: Hack and / Column -- "Return of the Mac" - Published in October 2014 issue. Linux Journal: Hack and / Column -- "Check Exchange from the Command Line" - Published in September 2014 issue. Linux Journal: Hack and / Column -- "Not so Dynamic Updates" - Published in August 2014 issue. Linux Journal.com: "Dolphins in the NSA Dragnet" - Published July 07, 2014. Linux Journal.com: "NSA: Linux Journal is an "extremist forum" and its readers get flagged for extra surveillance" - Published July 03, 2014. Linux Journal: Hack and / Column -- "The only Mac I Use" - Published in July 2014 issue. Linux Journal: Hack and / Column -- "Encrypt Your Doc: Mutt and GPG" - Published in June 2014 issue. Linux Journal: Hack and / Column -- "TAILS above the Rest Part 3" - Published in May 2014 issue. Linux Journal: Hack and / Column -- "TAILS above the Rest Part 2" - Published in April 2014 issue. Linux Journal: Hack and / Column -- "TAILS above the Rest" - Published in March 2014 issue. Linux Journal: Hack and / Column -- "Own your DNS Data" - Published in February 2014 issue. Linux Journal: Hack and / Column -- "A Bundle of Tor" - Published in January 2014 issue. Linux Journal: Hack and / Column -- "Secret Agent Man" - Published in December 2013 issue. Linux Journal: Hack and / Column -- "Super Pi Brothers" - Published in November 2013 issue. Linux Journal: Hack and / Column -- "Command Line Cloud: rss2email" - Published in October 2013 issue. Linux Journal: Hack and / Column -- "Command Line Cloud: gcalcli" - Published in September 2013 issue. Linux Journal: Hack and / Column -- "DNSSEC Part 2: The Implementation" - Published in August 2013 issue. Linux Journal: Hack and / Column -- "DNSSEC Part 1: The Concepts" - Published in July 2013 issue. Linux Journal: Hack and / Column -- "Two Pi R 2" - Published in June 2013 issue. Linux Journal: Hack and / Column -- "Two Pi R" - Published in May 2013 issue. Linux Journal: Hack and / Column -- "Switching Monitor Profiles" - Published in April 2013 issue. Linux Journal: Hack and / Column -- "Temper Pi" - Published in March 2013 issue. Linux Journal: Hack and / Column -- "Raspberry Strudel: My Raspberry Pi in Austria" - Published in February 2013 issue. Linux Journal: Hack and / Column -- "More PXE Magic" - Published in January 2013 issue. Linux Journal: Hack and / Column -- "Home: My Backup Data Center" - Published in December 2012 issue. Make: Guest blog post -- "A Printrbot Fixed My Dishwasher" - Published November 28, 2012. Linux Journal: Hack and / Column -- "What's Up Dock?" - Published in November 2012 issue. Linux Journal: Hack and / Column -- "How to Deploy a Server" - Published in October 2012 issue. Linux Journal: Hack and / Column -- "Troubleshooting with Telnet" - Published in September 2012 issue. Linux Journal: Hack and / Column -- "N900 with a Slice of Raspberry Pi" - Published in August 2012 issue. Linux Journal: Hack and / Column -- "Getting Started with 3D Printing: The Software" - Published in July 2012 issue. Linux Journal: Hack and / Column -- "Getting Started with 3D Printing: The Hardware" - Published in June 2012 issue. Linux Journal: Hack and / Column -- "The Sysadmin's Toolbox: Iftop" - Published in May 2012 issue. Linux Journal: Hack and / Column -- "The Sysadmin's Toolbox: Sar" - Published in April 2012 issue. Linux Journal: Hack and / Column -- "Password Cracking with GPUs Part 3: Tune Your Attack" - Published in March 2012 issue. Linux Journal: Hack and / Column -- "Password Cracking with GPUs Part 2: Get Cracking" - Published in February 2012 issue. Linux Journal: Hack and / Column -- "Password Cracking with GPUs Part 1: The Setup" - Published in January 2012 issue. Linux Journal: Tales from the Server Room -- "Zoning Out" - Published in December 2011 issue. Linux Journal: Hack and / Column -- "Read Linux Journal from the Command Line" - Published in December 2011 issue. Linux Journal: Hack and / Column -- "Automatically Lock Your Computer" - Published in November 2011 issue. Linux Journal: "Return to Solid State" - Published in October 2011 issue. Linux Journal: Hack and / Column -- "Practice Hacking on Your Home Router" - Published in October 2011 issue. Linux Journal: Tales from the Server Room -- "Unboxing Day" - Published in September 2011 issue. Linux Journal: Hack and / Column -- "Remotely Wipe a Server" - Published in September 2011 issue. Linux Journal: Hack and / Column -- "Nagging Notifications" - Published in August 2011 issue. Linux Journal: Tales from the Server Room -- "It's Always DNS's Fault" - Published in July 2011 issue. Linux Journal: Hack and / Column -- "Forensics with EXT4" - Published in July 2011 issue. Linux Journal: Hack and / Column -- "Lightning Hacks -- the Command Next Door" - Published in June 2011 issue. Linux Journal: Tales from the Server Room -- "Panic on the Streets of London" - Published in May 2011 issue. Linux Journal: Hack and / Column -- "Your Own Personal Server: Blog" - Published in May 2011 issue. Linux Journal: Hack and / Column -- "Your Own Personal Server: DNS" - Published in April 2011 issue. Linux Journal: Hack and / Column -- "Your Own Personal Server: the Network" - Published in March 2011 issue. Linux Journal: Point / Counterpoint Column -- "Tablets" - Published in February 2011 issue. Linux Journal: Hack and / Column -- "Status Messages in Screen" - Published in February 2011 issue. Linux Journal: Hack and / Column -- "Bond, Ethernet Bond" - Published in January 2011 issue. Linux Journal: Point / Counterpoint Column -- "Bill and Kyle vs. LJ Readers" - Published in December 2010 issue. Linux Journal: Hack and / Column -- "Working on My Temper" - Published in December 2010 issue. Linux Journal: Chinavasion Pico Projector Review - Published in November 2010 issue. Linux Journal: Hack and / Column -- "Some Hacks from DEF CON" - Published in November 2010 issue. Linux Journal: Point / Counterpoint Column -- "Sane Defaults vs. Configurability" - Published in October 2010 issue. Linux Journal: Hack and / Column -- "Take Mutt for a Walk" - Published in October 2010 issue. Linux Journal: Hack and / Column -- "Break in Your Boots" - Published in September 2010 issue. Linux Journal: Point / Counterpoint Column -- "Solid-State Drives vs. Rotational Media" - Published in August 2010 issue. Linux Journal: Hack and / Column -- "Temper Temper" - Published in August 2010 issue. Linux Journal: Hack and / Column -- "Lightning Hacks--SSH Strikes Back" - Published in July 2010 issue. Linux Journal: Point / Counterpoint Column -- "Mobile Phones" - Published in June 2010 issue. Linux Journal: Hack and / Column -- "Dynamic Config Files with Nmap" - Published in June 2010 issue. Linux Journal: Nokia N900 Review - Published in May 2010 issue. Linux Journal: Hack and / Column -- "Linux Troubleshooting, Part III: Remote Networks" - Published in May 2010 issue. Linux Journal: UpFront Column -- "Send E-mail with Telnet" - Published in May 2010 issue. Linux Journal: Hack and / Column -- "Linux Troubleshooting, Part II: Local Network" - Published in April 2010 issue. Linux Journal: Point / Counterpoint Column -- "/opt vs. /usr/local" - Published in March 2010 issue. Linux Journal: Hack and / Column -- "Linux Troubleshooting, Part I: High Load" - Published in March 2010 issue. Linux Journal: Hack and / Column -- "Make a Local Mutt Mail Server" - Published in February 2010 issue. Linux Journal: Point / Counterpoint Column -- "Education vs. Experience" - Published in January 2010 issue. Linux Journal: Hack and / Column -- "Dr hjkl Meets the Vimperator" - Published in January 2010 issue. informIT: "Changes in Ubuntu: Five Stages of Grief" - Published December 22, 2009. Linux Journal: "The Goggles, They Do Something" - Published in December 2009 issue. Linux Journal: Hack and / Column -- "Message for You Sir" - Published in December 2009 issue. LinuxJournal.com: Nokia N900: First Look - Published November 16, 2009. Linux Journal: Point / Counterpoint Column -- "Ext3 vs. XFS" - Published in November 2009 issue. Linux Journal: Hack and / Column -- "Dr. hjkl and Mr. Hack" - Published in November 2009 issue. Linux Journal: Hack and / Column -- "Spam: the Ham Hack" - Published in October 2009 issue. Linux Journal: Hack and / Column -- "What Really IRCs Me: Twitter" - Published in September 2009 issue. Linux Journal: Point / Counterpoint Column -- "Twitter" - Published in August 2009 issue. Linux Journal: Hack and / Column -- "What Really IRCs Me: Instant Messaging" - Published in August 2009 issue. TechTarget: "Five ways to consolidate servers and extend the life of your data center" - Published July 02, 2009. Linux Journal: Hack and / Column -- "Right Command, Wrong Server" - Published in July 2009 issue. Linux Journal: Hack and / Column -- "Lightning Hacks Strike Twice" - Published in June 2009 issue. Linux Journal: Point / Counterpoint Column -- "AJAX" - Published in May 2009 issue. Linux Journal: Hack and / Column -- "When Disaster Strikes: Attack of the rm Command" - Published in May 2009 issue. Linux Journal: Point / Counterpoint Column -- "Mutt vs. Thunderbird" - Published in April 2009 issue. Linux Journal: Hack and / Column -- "When Disaster Strikes: Scratching the Master Boot Record" - Published in April 2009 issue. Linux Journal: Hack and / Column -- "When Disaster Strikes: Hard Drive Crashes" - Published in March 2009 issue. Linux Journal: "Fast App Launching with GNOME Do" - Published in March 2009 issue. TechTarget: Advisory Board -- "The Obama effect on IT operations: Data center panel weighs in" - Published February 18, 2009. Linux Journal: Hack and / Column -- "Chopping Logs" - Published in February 2009 issue. TechTarget: Advisory Board -- "Data center user groups influence career development" - Published January 09, 2008. Linux Journal: Point / Counterpoint Column -- "Small Laptops vs. Large Laptops" - Published in January 2009 issue. Linux Journal: "Cold Boot Attack Tools for Linux" - Published in January 2009 issue. Linux Journal: Hack and / Column -- "Manage Multiple Servers Effciently" - Published in January 2009 issue. TechTarget: Advisory Board -- "Data center panel weighs cloud computing risks, rewards" - Published December 05, 2008. TechTarget: Advisory Board -- "How will data centers weather the economic downturn" - Published November 12, 2008. Linux Journal: "Dash Express" - Published in December 2008 issue. Linux Journal: Hack and / Column -- "Mutt and Virtual Folders" - Published in December 2008 issue. TechTarget: "How To Prepare for Remote Data Center Maintenance Trips" - Published November 03, 2008. Linux Journal: Hack and / Column -- "Memories of the Way Windows Were" - Published in November 2008 issue. TechTarget: "Emergency systems administration from your cell phone" - Published September 30, 2008. Linux Journal: Hack and / Column -- "Wii Will Rock Linux" - Published in October 2008 issue. Linux Journal: Hack and / Column -- "Do the Splits" - Published in September 2008 issue. Linux Journal: Hack and / Column -- "Wiimote Control" - Published in August 2008 issue. TechTarget: "Use Nagios to trend and troubleshoot performance issues" - Published July 30, 2008. Linux Journal: Hack and / Column -- "Migrate to a New Hard Drive" - Published in July 2008 issue. Linux Journal: "My Move to Solid State" - Published in July 2008 issue. Linux Journal: Hack and / Column -- "Lightning Hacks" - Published in June 2008 issue. Linux Journal: "Remaster Knoppix without Remastering" - Published in June 2008 issue. Bright Hub: "Today's Top Linux Desktop Distributions" - Published May 06, 2008. Linux Journal: Hack and / Column -- "Last-Minute Secondary Mail Server" - Published in May 2008 issue. TechTarget: "Stop Server Monitoring Tools from Crying Wolf" - Published April 2, 2008. Linux Journal: Hack and / Column -- "Mutt Tweaks for System Administrators" - Published in April 2008 issue. Linux Journal: "PXE Magic: Flexible Network Booting with Menus" - Published in April 2008 issue. Linux Journal: Hack and / Column -- "Automate Your Desktop with wmctrl" - Published in March 2008 issue. Linux Journal: Hack and / Column -- "A Little Spring Cleaning" - Published in February 2008 issue. Linux Journal: "Virtualize a Server with Minimal Downtime" - Published in February 2008 issue. TechTarget: "Server names: A checklist for scalable schemes" - Published January 30, 2008. Linux Journal: Hack and / Column -- "Browse the Web without a Trace" - Published in January 2008 issue. Linux Journal: "Introduction to Forensics" - Published in January 2008 issue. Bright Hub: "Red Hat Enterprise Linux 5 Desktop: Fit for the corporate desktop, but not necessarily the home" - Published October 18, 2007. Bright Hub: "Linspire 6: Blend the best in Open Source and Commercial Software" - Published October 18, 2007. Bright Hub: "Novell openSUSE 10.2 - Novell's SUSE for the Community" - Published July 30, 2007. Bright Hub: "Fedora Core 7 - A Solid Core Distribution" - Published July 30, 2007. Bright Hub: "Ubuntu 7.04 - More Than a Strange Name for a Linux Distribution" - Published July 30, 2007. TechTarget: "How remote management saved me an emergency flight overseas" - Published July 5, 2007. TechTarget: "Data center consolidation, virtualization: Ultra-dense server deployments" - Published April 5, 2007. TechTarget: "Lights out management: How to administer servers from the Bahamas" - Published March 27, 2007. TechTarget: "No assembly required: How I lost two days in the data center" - Published February 6, 2007. PC Magazine: "Partition for Free with QTParted" - Published in January 2006 issue. PC Magazine: "Introduction to Knoppix" - Published in June 7, 2005 issue. Linux.Ars column on ArsTechnica - contributing writer - Published November 11, 2003. FOSDEM: The Cloud is Just Another Sun - January, 2019. TWiT The New Screensavers: "Purism Librem Key: USB Security Token with Tamper Detection" - October 21, 2018. The Lunduke Show: "USB Security Key "Librem Key" with Purism's Chief Security Officer" - September 25, 2018. Screaming in the Cloud: "Episode 4 - It's a data lake, not a data public swimming pool" - April 4, 2018. Purple Squad Security: "Episode 007 - Securing Linux in Hostile Networks" - October 15, 2017. TechBeacon: "How playing capture the flag boosts application security" - September 18, 2017. O'Reilly Security Podcast: "Kyle Rankin on modern server hardening for the cloud" - September 14, 2016. SCALE 11x - January 22, 2013. Search400.com: "Learn all about Ubuntu in the The Official Ubuntu Server Book - September 29, 2009. SearchDisasterRecovery.com: "Remote data center management for disaster recovery purposes" - June 23, 2009. Linux Insider: "Ubuntu's Hardy Heron Receives Its Beta Wings" - March 21, 2008. Computer Outlook radio show with John Iasiuolo Linux Multimedia Hacks - September 19, 2006. Computer Outlook radio show with John Iasiuolo Ubuntu Hacks - August 15, 2006. SearchOpenSource.com: "Ogg Vorbis: Music to your ears" - Published March 23, 2006. SearchOpenSource.com: "Knoppix Hacks: Use Knoppix to rescue Windows" - Published July 29, 2005. "The Writer's Perspective" - Published May 18, 2005. "Fun with Knoppix" section of Linux.Ars for ArsTechnica - Published May 4, 2005. Computer Outlook radio show with John Iasiuolo Knoppix Hacks Followup - January 18, 2005. Computer Outlook radio show with John Iasiuolo Knoppix Hacks - December 21, 2004.